Are you concerned about your below-grade storage tank? As an alternative to below grade storage tanks, it has become fashionable and cost-effective to store hydrocarbons and other chemicals in a double wall container above grade. Allowing for greater reliability, safety, and visibility of potential risks, above ground liquid storage may be the solution you require. At Waterline Environmental Inc., we ensure your new liquid storage tank is safe and reliable - preventing the risk of water pollution or spilling concerns. We follow EPA requirements on aboveground oil storage and ensure our clients comply with special spill prevention and control regulations. Above ground liquid containers (aka. aboveground storage tanks (ASTs) or bulk storage containers) are made of steel or fiberglass and have several advantages over below ground options, including that they are skiddable (can be moved) to other locations or on site. The best feature, however, is that above ground liquid storage tanks, including dispensing, are visual, and therefore no hidden leaks can cause severe and costly ground issues that would have to be dealt with. More visibility of storage tanks means taking greater precaution for protecting the environment – and that’s something Waterline Environmental Inc. is very proud of. Learn more about above ground liquid storage here! At Waterline Environmental Inc., we have numerous above ground installations particularly for the transport industry, manufacturing, and commercial sites that require access to fuel. 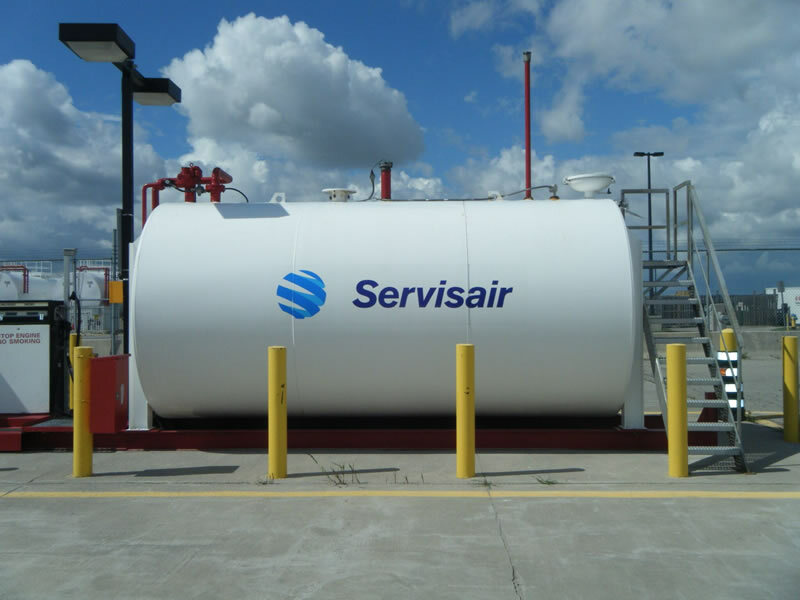 Contact us today to learn more about the many advantages of above ground fuel storage.